Acrocephalus arundinaceus Linnaeus, 1758. Subspecies griseldis Hartlaub, 1891. French: Rousserolle turdoide; German: Drosselrohrsänger; Spanish: Carricero Tordal. 7.5-7.9 in (19-20 cm); 0.7-1.8 oz (21-51 g). Large, heavy warbler with strong bill and legs, longish pointed wings. Uniform brown above, whitish below, with buffy wash on flanks, rufous rump, light eyeline. 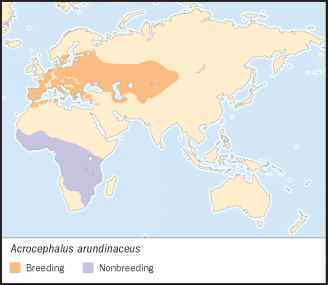 Breeds from Iberia and northwest Africa to western Siberia and west China. Winters across sub-Saharan Africa. Reedbeds and other emergent vegetation, sometimes in thickets bordering water. Swamps, stream courses and savanna in winter. Movements slow and clumsy. Song deep and slow, full of low croaks and rattles. Male defends large territory. Insects, spiders, snails, small vertebrates (fish and frogs), some fruits in non-breeding season. Forages in emergent vegetation, trees and shrubs, and water surface. Many polygynous, but significant portion monogamous. Pair bond lasts only until nestling stage. 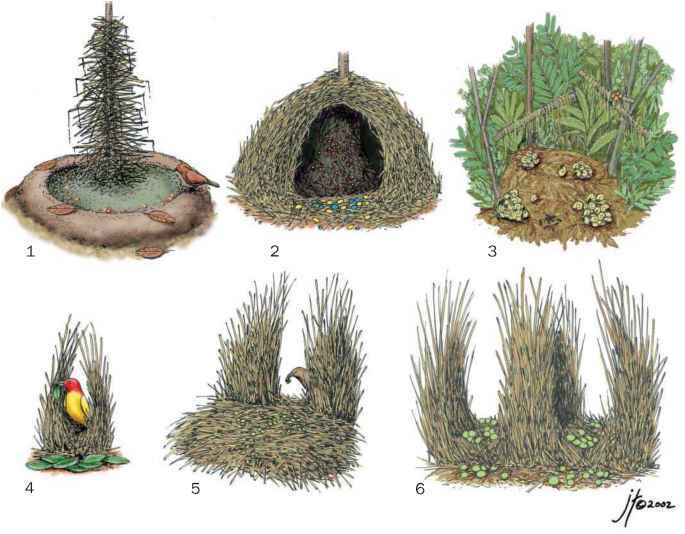 Nest is built by female; deep cylinder of reeds and leaves, suspended above water. Three to six eggs incubated 14 days by female; young fed by both parents; fledglings dependent additional two weeks.